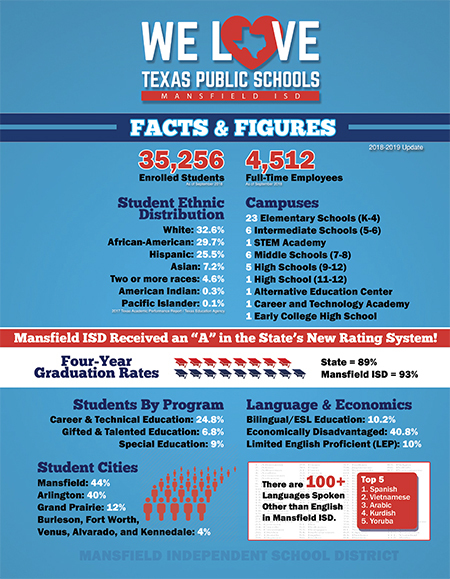 The Mansfield ISD Adopted Tax Rate is $1.54— $1.04 for the Maintenance and Operations Fund and $0.50 for the Debt Service Fund. Get more on Financial Transparency. Get complete information on accountability & assessment data by visiting their website.